Associate Professor Karen Webster is the Deputy Head of Fashion and Textiles at RMIT University, where she performs a pivotal role in the development and thinking of the next generation of designers and influencing the future shape of the industry. Karen is one of Australia’s best-known fashion industry figures and has been actively engaged as an advocate and leader in the Australian Fashion Industry for over the past 30 years. She has held senior positions in fashion at RMIT University for twenty years. From 2005 to 2010 through an industry secondment from her University position at RMIT Karen took on the role of the Director of the L’Oréal Melbourne Fashion Festival. This grew under her stewardship to include more than 300 events and unprecedented attendance levels and sponsorship support, making it a landmark event on the Melbourne cultural calendar. Karen has held numerous Board positions including a founding board member of the Melbourne Fashion Festival. She currently sits on the Australian Design Alliance, Balletlab plus the Federal Governments Positive Body Image Awards Advisory Panel. 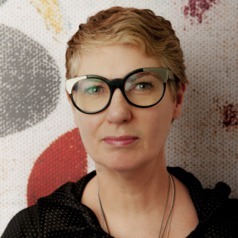 In 2010 Karen was appointed the first female Board Director of the Council of the Textile and Fashion Industries of Australia and as part of this role has been appointed the Chair of the Australian Fashion Council. More recently she has been on the Advisory Boards for Melbourne Spring Fashion Week, the State of Design Festival, the Design Research Institute and the Media Code of Conduct Working Group on Body Image for the Victorian State Government which provided advice to the Minister for Employment and Youth Affairs. Karen worked as a fashion designer for over ten years in London, Melbourne and Sydney prior to working in academia. She still currently works as a strategic and design consultant within the fashion industry. Karen was the 2012 inductee to the Fashion Hall of Fame awarded in Melbourne.